I am an aspiring Cinematographer and Documentary Filmmaker. My biggest passion is nature! Growing up surrounded by mountains, I am excited to be able to share with the world how much life comes from earth, our home. I am a creative personality so I love getting involved with ambitious projects that aim to change something in the society we live. 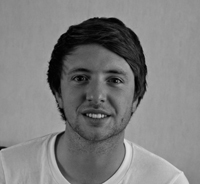 Nick is 23 year old photographer and filmmaker specialising in Natural History and Travel. With a degree in Biological Sciences from the University of Exeter, and conservation experience in the field, Nick has a strong understanding of wildlife and the natural world. 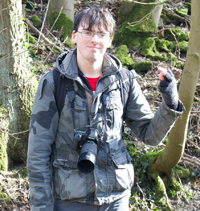 He is currently studying for an MA in Wildlife Filmmaking at UWE, in association with the BBC Natural History Unit in Bristol. 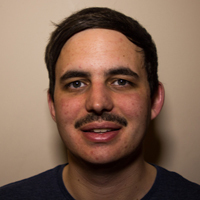 He has gained work experience with a number of production companies in Bristol including Doghouse Post Production, Icon Films, Five Films and most recently Ammonite Films. 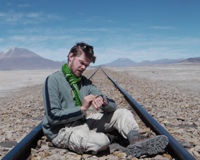 He enjoys living and working in extreme environments and has taken part in numerous expeditions to places such as the Moroccan Atlas Mountains, the Pyrenees, Indian Himalaya and has spent a winter working in the French Alps. 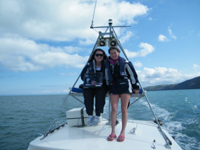 He also has a love of the ocean, and holds a number of qualifications in boat handling, sailing and scuba diving. He has won multiple awards for his photography, including runner up in Earth Touch's 2016 competition and has had photographs featured by BBC Earth. He is experienced in using DSLR's, Sony FS5 / FS700 /A7s, GoPro's, Phantom Drones and trail cameras. He is also a competent editor with Adobe Premier Pro. An energetic and dynamic film maker, currently working on various independent projects. 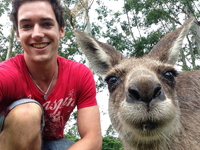 Robbie's background is in zoology and conservation with special interest in animal behaviour. He is easy and fun to work with and loves big challenges. Experience in remote environments including South African bushveld and the French Alps. Experience in science radio broadcasting and podcasting. Extensive work in scientific research with special interest in animal behaviour. Proficient in various video and audio editing software. Currently working in behavioural research at the University of Bristol but with time to work in a Bristol based media position. 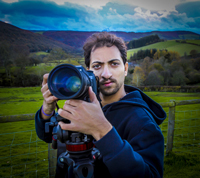 He is looking to expand his experience within wildlife film making through various possible routes. I am an experienced Assistant Producer with a Zoology degree. I have worked across all sorts of programmes from natural history to crime. I can self-shoot, have basic editing skills and have experience of working on location both in the UK and abroad. I hold a current I-visa and am able to travel at short notice. I have extensive experience of setting up worldwide shoots. I can hit the ground running with projects and enjoy a challenge. I am a passionate researcher (conservation and behaviour biologist), sustainable resource manager and photographer who decided to dive into wildlife-film making, after having gained experience as an film assistant for wildlife documentaries in South Africa. I am a 24 year old wildlife filmmaker, currently Studying MSc Ecology and Conservation at the University of Aberdeen (previous degree BSc Environmental Science, University of York). In November 2018, I was Highly Commended twice by the British Wildlife Photography Awards for two short films: 'No Room At The Top' and 'Morning Of The Moorland Matadors'. My Current work mostly involves filming and editing Natural History content for the independent production company Mousehole Films, but I can work as a freelancer at any time. My camera experience so far, has involved a lot of hide and telephoto lens work. Although my preferred field is cameras, I can also work as a researcher because of my scientific background and I have 3 years of editing experience on Adobe Premiere Pro, having edited one feature length film and several shorts. I particularly enjoy the challenge of capturing wildlife in their natural surroundings, in all terrains and all weathers; with plenty of lone work experience in remote parts of Scotland. I am a passionate Researcher/AP and Presenter and have spent three years working at a wildlife park researching stories and creating online videos for media within conservation and education. Along with this I have spent the last year teamed up with my colleague at Wildlife Film Productions creating a variety of content from stock footage to, reality reels to blue chip documentaries filming in both England and California. Whilst working on projects I have had the opportunity to take part in pre-production (research, script write, develop stories, organise budgets, accommodation and scouting days,) production (assist cameramen in the field, go through dailies, assist with directing,) and finally post production (assist with edit and social media.) Having filmed regularly on location I am familiar with the logistics of a shoot and working with various crews/teams, liaising between them and location staff including BBC Learning English. Alongside my research career I am an accomplished presenter both on and off screen. Having toured shows both nationally and internationally for 12 years (credits include Science Museum Live) I am no stranger to hard work and I eventually secured a position with BBC Learning English. Realising my passion for wildlife I combined both sets of skills within my role at Paradise. I managed to massively improve the shows whilst I was there, making conservation topics both entertaining and engaging. This was recognised by the team and management and I was asked to represent paradise at the BIAZA Presenter Workshop and I ran two workshops at the ABWAK symposium in 2015. I believe certified Zoo’s can be a great way to learn about endangered animals due to their breeding programs and scientific studies and I consider my background in this area to be very beneficial within my role as a researcher. As an incredibly ambitious person with an insatiable appetite for hard work, bundles of enthusiasm, and a veracity for learning I would be a dedicated asset for any team. For any more information, please don’t hesitate to contact me. Wildlife biologist looking for work in research and presenting. I have decided to put my immediate natural history broadcast ambitions on hold and to pursue a career in environmental law. Coupling the skills acquired from my undergraduate degree and employment history, I hope to create a strong foundation, enabling me to excel on my new pursuit into law. Studying zoology helped me develop the ability to critically analyse, concisely synthesise and clearly portray information in a persuasive manner. Similarly, the structure of researching and producing television and radio has taught me how to refine speech and define a clear narrative when presenting a subject. By no means have I lost my interest in broadcast media, and I hope as my career develops I will be able tie these two interests together and pursue them in parallel. All being well, my law experience will provide a unique insight into natural history and human world documentary presenting. Furthermore, relating to broadcast media, I am a hardworking and personable individual that is always looking for part-time or fixed term contract opportunities during my legal studies. With my scientific and new legal knowledge, I can be a useful asset to any projects which require some relevant research or coordination. 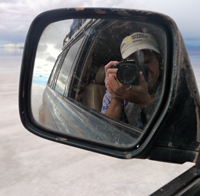 Michael is a freelance editor, travel and wildlife writer/photographer, and runs the website www.ecotravelguide.eu, with a focus on nature, wildlife and conservation. A member of The International Ecotourism Society and the International Travel Writers Alliance, he is currently undergoing a distance learning certifcate course in wildlife conservation. 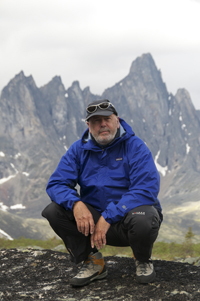 A former national newspaper sub-editor and columnist, he has edited several outdoors titles, and currently writes for a range of newspapers and magazines. Filming and producing short promotional videos for the station & environmental advocacy groups (both underwater and topside). Working with production companies on location, providing support and additional camera work (BBC, Passion Pictures, Korean Educational Broadcasting and other international crews). Photography of the marine fauna and daily scientific research, including published images with BBC Nature, National Geographic, and Science Illustrated. Involved in writing and development of a documentary pitch for an indie, which is currently being reviewed by the BBC. As well as writing and publishing an article with the Independent. With an extensive background in scientific research, self-shooting, and editing, I am looking to now pursue a career in TV production as a researcher/AP and camera operator/DOP. I am a qualified HSE underwater camera operator and have recently passed a Marine Biology Level 3 course with Distinction. 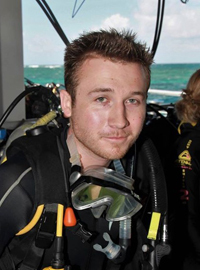 I look forward to working closely with marine biologists and conservationists and in further developing my experience in underwater filming as well as my theoretical knowledge and research skills. I have filmed underwater for Aloha Dive Centre (Cyprus), for the charity Liquid Vibrations (UK) and I volunteer for the Marine Conservation Society as an Educational Workshop Facilitator. 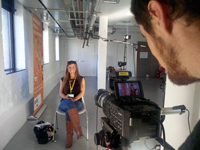 In the past few years I have been working closely with various charities and educational organisations creating short documentaries for them, in order to help them promote the goals and achievements of short or yearlong projects. I also have a broad experience of filming large-scale shows and concerts for live broadcasts and post production. Sara is a Zoologist, Presenter and Writer. 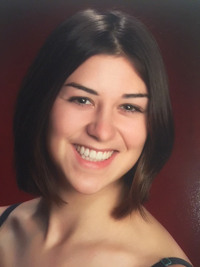 With 4 years of presenting experience she has presented anywhere from on live television to museums and schools. 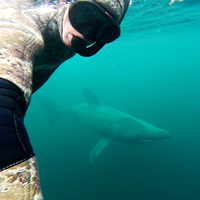 She is currently a Wildlife Guide and Presenter on a whale watching boat on the west coast of Scotland. Recent work includes guiding both BBC film crew for The One Show and Ray Mears on current documentaries. Previous to this, Sara was a Wildlife Rehabilitator in Canada working with black bears, coyotes, raccoons and much more. Sara also excels with the written word and is currently writing a book about wildlife conservation in Canada. 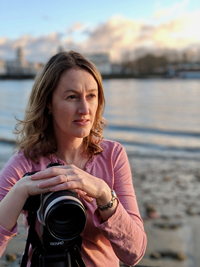 She has worked as a Features Journalist for a newspaper and has recently published an article in the UK Wolf Conservation Trust magazine, in addition to producing, narrating and editing a wolf biology DVD. 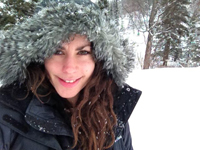 A hardy traveller, Sara has backpacked all over the world from +40c in the Sahara Desert to -40c in the Yukon Territories. She is never afraid of hard work and always researching her next expedition. Relative new comer looking to gain more work and experience. Interested in: Presenting, Public Speaking, Researching, Writing, Editing. 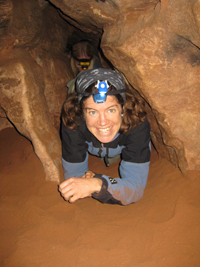 What I can offer: Passion for communicating science and Natural History subjects in an enthusiastic manner, flexibility, wildlife guiding and experience working in remote locations. I am looking for work as an Assistant/Runner, researcher or to offer my knowledge. I have over 13 years of working with environmental organisations in the UK such as MAFF, DEFRA, AONB's, Scottish Natural Heritage and Wildlife Trusts. I have specialised in grassland management such as wildflower meadow creation. I have experience of working with Ospreys and Red Squirrels in the UK, Whooping Cranes in the USA and Lemurs in Madagascar. I also have experience of other Malagasy wildlife such as chameleons amphibians, tortoises and other mammals. I also have experience of a wide range of African chameleons. I have a BSc from the Royal Agricultural University and an MSc in Environmental Protection and Management from Edinburgh University. I have an enquiring mind that I refined as a journalist and honed whilst travelling the world. I fulfilled a lifelong dream to study animal science; and combined excellent writing skills with my animal obsession by writing and researching wildlife documentaries. Working in house and as a freelancer for a variety of companies over the years that specialize in Blue Chip wildlife docs, has added polish to my research and stimulating contacts and experts to my contact list. I relish finding obscure and wonderful facts that enhance the story. My tenacity in finding the information my team needs always results in accurate and exciting films that exacting international broadcasters can trust. I enjoy language, so as a copy editor my attention to detail is as intense and precise as I can make it. Copy and script editing are always fun as I learn as much from tightening the prose as I do from my research. I have to admit that I get a real kick from every story I work on - I truly enjoy what I do. Graduate in MA TV Production 2010/2011 at University College Falmouth, UK. Interested in working as production assistant or researcher in wildlife, natural history and travel documentaries. Already with experience as Series Researcher in a 10x60 travel show for National Geographic. Also able to shoot and record sound. Experienced in post production paperwork. Used to work with P/Ds in the edit suites. I speak fluent Spanish (mother tongue) and good Portuguese. 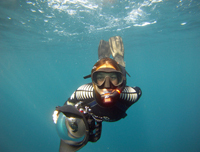 I love being underwater, I am a certified PADI Divemaster and Master Scuba Diver. I'm a natural history filmmaker/photographer working in Portugal. My films aired on the Portuguese television and were featured in DVDs accompanying nature photography books. My pictures have been featured in National Geographic magazine (Portugal edition) and other relevant Portuguese press. I've authored a photography book on the local wildlife of my home town and a children's book on the same topic. With a longstanding passion for wildlife that began before he could walk, Robbie has always known that his life would revolve around wildlife. As he matured, he realised the best way to help the natural world was to pass on his passion to others through the medium of film. Aspiring to be a wildlife presenter but currently would like to immerse himself in the industry in any and all sectors given the opportunity. Since then he has graduated with a Zoology degree, including an open unit in maths, and then went on to graduate with a Masters in Global Wildlife Health & Conservation. Throughout the Masters he performed weekly presentations in front of the class and other academics. Furthermore he completed a dissertation, entitled "The features associated with high viewing figures in wildlife films & the role of conservation", to determine what is needed to make a 'successful' documentary and ways of incorporating conservation into these without detrimentally affecting the viewing figures. Recently travelled for six months across four continents researching the wildlife in each location and making it his mission to capture it on film. He filmed cassowaries, Komodo dragons and pigmy marmosets in the wild (amongst many other species). Whilst travelling, Robbie also became a certified Advanced Open Water Diver. Since returning, he has taken to editing the vast quantity of footage with the aim of creating some of his own short wildlife films. I am a keen and hard working individual, with a passion for filmmaking of all kinds. I have developed my skills and learning through a BA degree in filmmaking to arc along the interest of wildlife and adventure with my eyes now set on completing a BBC affiliated Masters degree in Wildlife filmmaking, with the intention of beginning my career thereafter. I have a wide range of camera experience and sound recording, working with various clients including, Slapstick Festival, Somerset wildlife trust, Specsavers, and Exeter Chiefs Rugby Club. I Also have a good knowledge of editing, with the ability to use Adobe Premiere Pro and Final Cut Pro, as well as sound editing with Pro-Tools. Before setting into film-making, I spent 8 years working in the retail industry. The communication and management skills picked up during that time have translated well for work in an environment that requires a high-level of communication and team work. Motivated newcomer, constantly adding skills and experience. Interested in assisting, editing, camera operation, research. What I can offer: An high degree of flexibility (can move quickly to new sites for work), experience in travelling and living under difficult conditions in remote areas (Africa, South America), extensive travel experience, 6 languages (English, German, Swedish, French, Spanish, Italian), physical fitness (I climb, mountaineer, run, row, ski). Ready and willing to go anywhere in the world to work in the wildlife film business. Octavia is not what you’d call your traditional natural history presenter - in an attempt to get ‘up-close and personal’ with nature, she likes to couple her deep-rooted passion for the natural world with a love for adventure and outdoor pursuits. 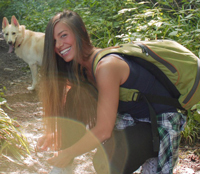 As a qualified rock climbing instructor, mountaineer, PADI Divemaster, horse rider, powerboat driver and bush craft leader, Octavia loves anything that allows her to explore the outdoors. It’s not all about adrenaline sports though, as Octavia is also a passionate advocator of conservation, particularly on our home turf here on the British Isles. With a degree in Environmental Science and having previously worked as an Environmental Consultant, Octavia has a profound knowledge of British wildlife and ecosystems and has worked at some of the UK’s most exciting conservation sites: monitoring Bottlenose dolphins on the Welsh coast with the CBMWC, preserving the salt flats at RSPB Ynys-hir and Red Kites at Bwlch Nant-yr-Arian and more recently at the Whixall Moss National Nature Reserve with the Shropshire Wildlife Trust. Having presented at live events such as the Bristol Festival of Nature and at Merefest 2016, Octavia is completely at ease under pressure. 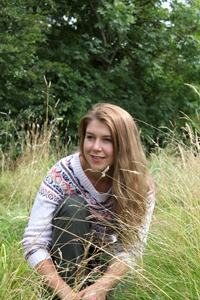 Furthermore, in addition to television and radio presenting, She’s also produced and presented a variety of short online films about wildlife and the countryside and has previously worked as a researcher on programs such as BBC Science’s Wonders of Life and Bang Goes the Theory and enjoys getting into the nitty gritty bits of science! With her enthusiasm for wildlife, and a boundless on-screen energy, Octavia is always keen to try new challenges, and along the way, educate and inspire people about the amazing planet we live on. 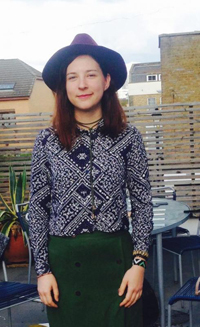 Agatha is a filmmaker and a researcher based in Bristol, UK. She produces a range of different content from music videos, documentaries to fiction films but her biggest interest and passion lies in conservation and producing impact. 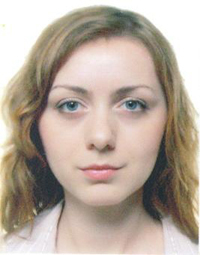 She has studied Journalism & Social Communication at Krakow University, Political Science on Erasmus student exchange and have graduated BA Media, Culture and Society at University of Hull in 2014. Throughout her studies she has learnt the basics of journalism, video recording and editing, in the same time developing her passion for photography, wildlife, conservation and nutrition. She has undergone wildlife filmmaking course at Africa Media and Wildeye International Filmmaking School. She has worked as a production assistant at Wildscreen, RDF Television, Icon Films, Rubber Republic, Curve Media, Voltage TV, Aspect Film & Video, Doghouse and Entirety Labs. She has collaborated with a TV presenter Anneka Svenska and co-produced with her programs for the Animal Watch YouTube series with over 150,000 subscribers. Earlier this year she has released her first full feature documentary FOREST exposing the conflict based around the illegal logging of the Bialowieza Forest and the film has already gained recognition on multiple environmental film festivals. Currently she is working on her new documentary exploring the conservation status of giraffes. I am a visually creative natural history researcher, with over three years' experience in the wildlife film-making industry. 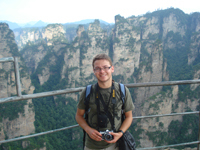 I have a special interest in the wildlife, languages, and cultures of China and Southeast Asia, and have a working knowledge of both Mandarin and Indonesian. I hold a 2:1 in Zoology from the University of Liverpool, and a First Class degree in Chinese and Indonesian from SOAS, University of London. I have a natural talent for storytelling, and am very interested in applying dramatic narrative techniques to wildlife films. Aside from the media, I have extensive experience in conservation, indigenous community, and palaeontology projects abroad. 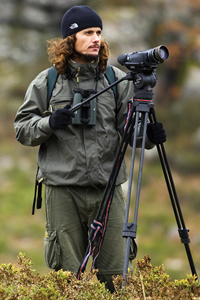 Alex is a highly skilled wildlife cameraman/DP with a passion for cinematic wildlife shows. 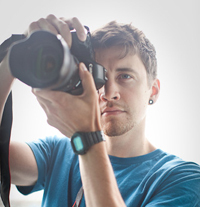 He’s Proficient in producing, editing and owns/operates a complete RED EPIC camera package. With his non-stop work ethic and skilled patience, Alex pushes the limits to his mind and body to get the best cinematic stories. 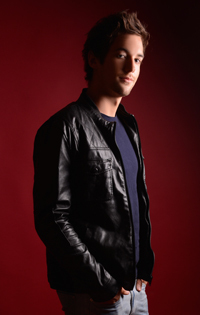 Alex has worked on multiple TV shows, films, commercials and in addition, Alex produces his own blue-chip wildlife films. He’s spent months filming in Yellowstone, Australia, Africa, Indonesia, Thailand, The Amazon and much more. His passion to his work reveals his skill sets as one of the best cinematographers. He proves to be a hard working asset to any team. Born, raised and residing in Kenya, I am a Wildlife Cameraman and Natural History Filmmaking consultant with experience working in all major Kenyan National Parks and Marine Parks. 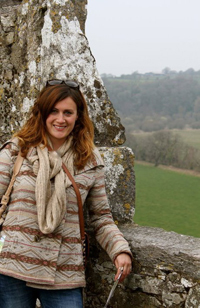 Arianne is a recent BA (Hons) Television graduate from the University of Glamorgan, based in Cardiff with an intense passion for wildlife and conservation. Throughout her course, she created a number of short films and documentaries including a short film about Lundy Island's marine conservation and a documentary about the effects of the recession on the UK's animals entitled The Price of Life. Arianne is confident filming on HD cameras and owns a Canon 550D as well as editing on both Adobe Premiere Pro and Final Cut Pro software. She is also a keen wildlife and animal photographer and is always looking for opportunities to expand her growing portfolio. With such passion and interest in the natural world, Arianne has been inspired to want to combine this with her love of photography and filmmaking to help raise awareness of conservation projects and issues globally as well as closer to home. 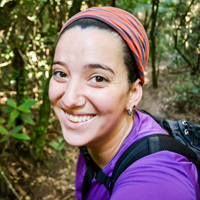 Tech-savvy biologist, researcher and self-shooter with a passion for the natural world. Strengths lie in interpersonal skills, practical approach to problem solving, exceptional eye for detail and ability to rapidly learn new processes and technology. 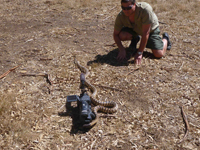 Production all-rounder with real appetite for high quality wildlife filmmaking. 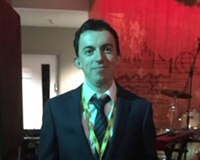 Matthew Leiper recently graduated from the University of Salford with a Masters Degree in Wildlife Documentary Production. 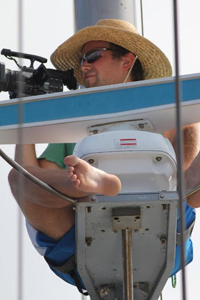 His experiences have taken him across the globe from filming Tasmanian Devils in Australia to Hammerhead Sharks in the Bahamas and has experience behind both the camera and the keyboard for filming and editing roles respectively. With a Grade 8 in LAMDA Verse and Prose, Matthew also has a clear and strong reading voice - he has narrated all of his own work himself as well as the documentaries of some of his fellow students. 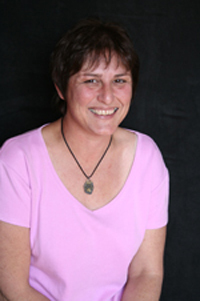 Ally is an experienced multi-talented media professional with skills in factual television, radio production and PR. Special interest and qualifications in natural history, with a lifelong love of animals and conservation. She spent four years doing voluntary work at wildlife sanctuaries overseas, doing PR to raise awareness, working hands-on with animals, and working alongside scientists and researchers. Ally is a trained broadcast journalist, with seven years experience at the BBC. Broadcast credits include researcher on BBC1's Animal Sanctuary and Countryfile, and series producer of Living World for the BBC Natural History Radio Unit. Dee is an experienced writer and photographer with extensive knowledge of wildlife and proven ability in wildlife photography, filming and editing. 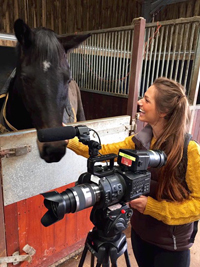 In addition to a diploma in Mammal Ecology and Conservation and many short courses in natural history film production, she has several years experience in visual and written communication. 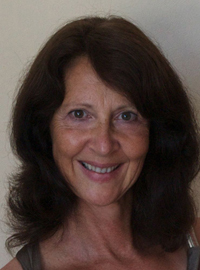 Having spent many years editing texts and writing for scientific journals, she is experienced in researching and studying a wide variety of scientific subjects. Dee writes illustrated articles for an online natural history magazine, organises film and photography workshops and manages large budget media projects for clients. She is fluent in French and English and competent in Italian, German and Japanese. A keen eye for detail - a creative flair - highly organised - efficient - passionate about natural history. With a degree in Animal Behaviour and MSc in Wildlife Health and Conservation, I have a thorough knowledge of natural history and excel at research based tasks. I have a passion for sharing my love and insight of the natural world with others. I am a keen photographer and have natural eye for detail and enjoy telling a story through the images I capture. Combining my enthusiasm for nature and creative story telling has lead me towards a career in wildlife filmmaking. I enjoy exploring new environments and cultures, and have field experience in both the UK and abroad. I am a driven and dedicated individual and hope to educate and inspire people throughout my career as a filmmaker. I am a reliable natural history researcher with a passion for finding and developing inspiring stories and identifying strong characters. I have experience of the industry and a strong academic background in biology, with a BSc in Marine Biology (Southampton University - 2:1) and an MSc in Wild Animal Biology (RVC/ZSL - Merit). I am always looking to push myself and thrive when working within a creative team. I have a proven ability to deliver to tight deadlines within teams of various sizes in a variety of environments and a highly organised, professional attitude towards my work. 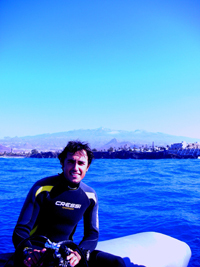 I have experience of working in the field in both the UK and abroad, and am a PADI Divemaster. 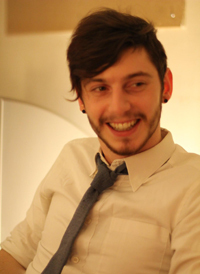 I am a neuroscience graduate with an MA in “Documentary and Features” filmmaking at UWE in Bristol. I have completed my own 30 minute documentary about death abroad - which has prompted the Scottish government to re-evaluate certain policies with regards to death abroad. I have also completed a few short promotional videos for various organisations and charities. I am especially interested in working as a researcher/field assistant for science and nature programmes that have a positive impact on people and the environment. Fluent in English and Swedish, and proficient in Spanish and German. PADI certified as an Advanced Open Water Diver – dry and wet suit, with training in underwater data collection. 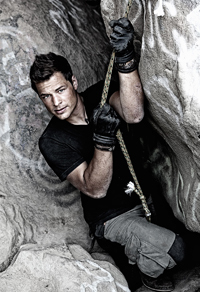 An avid rock climber, able to belay and climb proficiently. Has spent weeks climbing and camping in the Swedish and Swiss mountains. I've always had a keen interest in the natural world and using photography as a tool to conserve and explore it seemed a logical step for me. Whether its the people who work with the animals or the wildlife itsself I use my own style to document it. I've worked with the BBC as a camera assistant on few series now mainly underwater work and have written and photographically illustrated many magazine nature articles. I am a researcher with a background of varying experiences from working on idea creation/development, sourcing and dealing with contributors to working on location (often getting quite dirty), generating show ideas and content setting up and shooting interviews. I have a background in Zoology and over 6 months living and working in rainforests including working as a Trainee Naturalist in Costa Rica and as one of the leaders on an expedition to the Amazon Rainforest. I am happy both in a production office as well as out on location with a camera and especially enjoy taking myself out of my comfort zone. Dr. Tara Pirie has over 2000 hours of wildlife presenting with WildEarth / Safari TV which was broadcasted live globally from the world renowned Sabi Sands, South Africa and was interactive with viewers across the globe who could send in questions about all aspects of nature, to be answered by Tara live on air. With a keen interest in animal behaviour and conservation, two thirds of her life have been dedicated to working with wildlife and the education of it. She has knowledge and experience with a wide range of captive and wild animal species from across the world including marsupials, primates, ungulates, and in particular carnivores. She was formally trained as a zoologist (BSc Hons), holds advanced field guiding qualification (FGASA level 3), Cyber tracker (track recognition and trailing), 4x4 and rifle handling qualifications. 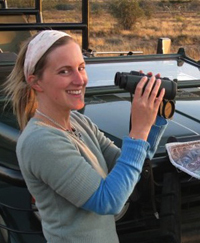 After spending 3 years living in a tent studying African leopards she gained her PhD specializing in leopard ecology and conservation biology. Tara has conducted many educational, scientific and general presentations about her research and wildlife. 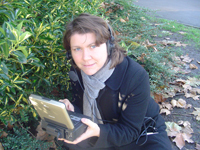 She has conducted interviews on WildEarth and been interviewed for various media including the BBC, radio and press. 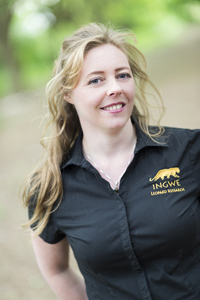 Her peer reviewed papers about leopard behaviour and PhD research can be found on www.ingweleopard.org. Other expereince includes camera operator, photography, wildlife blogs, script writing, voice over and limited editing in 2D and 3D. I have an MA in Wildlife Documentary Production from the University of Salford, 8 years of professional experience in TV production and a great passion for TV. I held positions of a journalist, researcher, sub-editor and scriptwriter for news and entertainment programmes. My duties covered all stages of content production, including research, writing, shooting planning, finding contributors and co-ordinating the work with them, booking equipment and locations. Natural history documentaries have always been my biggest inspiration so I‚m looking to re-launch my career in this fascinating area. I would welcome job offers as a runner/production assistant/researcher/production co-ordinator, and hope my skills could make me a helpful member of a team. Stephen Le Quesne is a film-maker, cameraman and presenter. He has an indepth knowledge of conservation, science and the natural world with a Masters degree in Conservation Biology and over 10 years of volunteer work for numerous conservation organisations (including Durrell Wildlife). In addition to this he has worked for the Cheetah Conservation Fund in Namibia and the Kalahari Meerkat Project in South Africa where he honed fieldcraft skills that included radio-tracking. Stephen is passionate about communicating the stories within the natural world and recently attended the Wildlife Film Academy in Botswana run by NHU Africa. 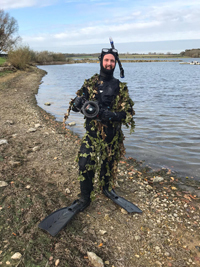 A Bristol based newcomer to the industry, Tom has just finished a Masters in Wildlife Filmmaking at UWE and is now looking for work as a researcher. A variety of filmmaking projects both as part of his Masters and independently have exposed Tom to all stages of the production process from development to final delivery, best shown by his film The Drills of Afi Mountain (which he filmed on location in Nigeria). Other experience includes filming promotional and live video content for both Wildscreen and Jackson Hole wildlife film festivals, and runner work for various types of production. 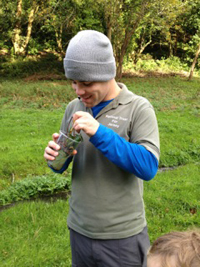 Volunteer experience working in primate conservation and a degree in Animal Behaviour have provided Tom with a varied knowledge of different species and their behaviours, ideal for any researcher role or as a narrator communicating ideas to an audience (examples of voice over work can be found on Tom's website). 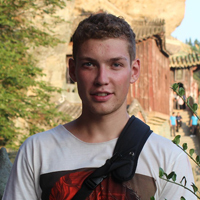 Tom also speaks Mandarin Chinese to a conversational level, which makes him well qualified to work on projects relating to China and Southeast Asia. 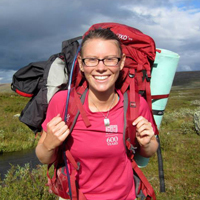 I am an environmental history graduate, with a real passion for communicating stories about the natural world. Having studied a Masters degree in environmental policy, I understand the great need to communicate science to a mass audience, in an imaginative, understandable and engaging way. My Masters thesis focused on natural history television as a tool for conservation, a subject I feel strongly about. I have been involved in the project Ghosts of Gone birds, and 2020 vision, and have written pieces for both the exhibition and book respectively. I am keen to use my skills as a writer, and my knowledge of environmental and conservation issues, to tell truthful yet captivating stories about the state of our planet. As a biologist-turned-filmmaker with advanced degrees, Jeremy Roberts is a naturalist who knows intimately the Rocky Mountains and High Plains. He maintains a working relationship with countless biologists throughout the region and understands natural history production inside and out. He is your go to contact for all HD natural history productions in the region. DP, AC, Research & Development, Logistics, and more. Andy Rogan is an intelligent, multi-skilled Anglo-American with experience on both sides of the Atlantic. 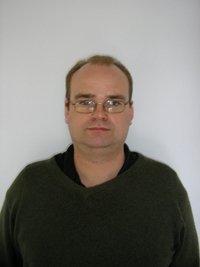 He has extensive knowledge in a number of factual disciplines stretching from the humanities and arts to the sciences. His core expertise (other than wildlife and in particular animal behaviour) lie in history, anthropology and archaeology, backed up by a BA in Archaeology & Anthropology and an MSc in Animal Behavior. He has experience at a variety of levels within production and is interested in immersing himself within any of the entire process, from research and development, through logistics and cinematography to writing and post-production. Andy is passionate about environmentalist and humanitarian issues, and has close links with the Ocean Alliance (an NGO dedicated to saving whales and their ocean environment), and Shishu Polli Plus, an orphanage in Bangladesh. A highlight of this was filming the daily life of the crew on board The Odyssey, the Ocean Alliance’s research vessel, around the site of the Deepwater Horizon oil spill n the Gulf of Mexico. This involved filming the numerous encountered species including Sperm Whales, Spotted Dolphins, Leatherback Turtles and Oceanic Sunfish; but also setting up, creating and re-creating shots, interviewing and sound recording. He also is a passionate stills photographerwho enjoys combining this passion with his interests in anthropology/travel/culture, history and of course wildlife. Having only recently finished his MSc, he is very keen to begin taking the next steps in his career: either on location or in research and production. I am a recent graduate of the MA in Wildlife Documentary Production from the University of Salford. My BA is in Media, Information and Technoculture, with a Minor in English Language and Literature. My passion is writing, and I would love to incorporate this with my love for wildlife. 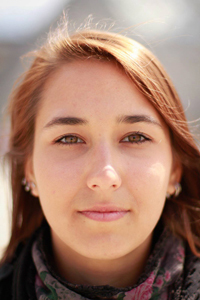 Ester has a Bacherlors in Biology and a Masters in Biological Photography and Imaging. She speaks 5 different languages (good for getting around those petty legal issues!) and has travelled to 6 different continents, mainly on her own and to less-travelled destinations such as Myanmar, Guyana and Zimbabwe. She is always looking for projects to get involved with and when she does she puts in everything she has. She is a very people-minded person, who loves to talk and listen. She has worked with people in all different fields, from different cultural backgrounds and with different opinions. She has lived in Belgium, the States, the UK and Japan. She has experience working with a suite of edition programmes and using cameras, so is adaptable for a wide range of roles that shoots may require, and is always up for a new challenge! 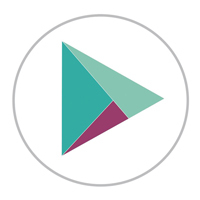 Multi-skilled filmmaker with a range of digital and broadcast experience from camera assisting, researching, sound recording, composition and editing. Camera Operator with a marine science background. Filming in both marine and terrestrial environment. I have a First degree in Biological Sciences and an MA in Wildlife Filmmaking from UWE, a course affiliated with the BBC. In addition I have also studied film, media, photography and drama. I have worked on a number of projects including researching urban foxes for Springwatch, filming interviews with Bill Oddie and Andy Day and most recently archive research at Tigress Productions. I have experienced the production process at all stages from storyboarding and writing treatments to filming, recording sound and editing. I am creative and a storyteller at heart and recently produced a ten minute film,The Little World, highlighting the nature we pass by without a second glance. I used a unique approach to captivate audiences with a mixture of macro camerawork, after effects and cinema 4D. Adam Spencer is a filmmaker and journalist specializing in wildlife and conservation. He has traveled throughout South and Central America producing educational and promotional documentaries for no-profit organizations whose work ranges from eco-tourism, sustainable energy solutions, and education. Working on the Galapagos Islands the Peruvian Amazon, and with Bolivian NGO's, Adam has written and produced Spanish-language documentaries about biology and tourism, technology and development. 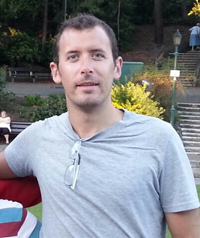 Adam currently works for the National Geographic Channel as a bilingual researcher. Having produced his own programs independently, Adam is flexible, enthusiastic, and hard-working and can help you get the job done. Passionate about wildlife and the environment. Biological science background, MSc in Biological Photography, worked as a photographer in South Africa. Looking for opportunities in research/assisting/production with the aim to move into sequence directing. Experience in research, TV (judged wildlife TV show Big 5 Challenge/Animal Planet), working with production crews, ocean based projects and photography. Extensive travel experience. Love the challenge of bringing new ideas to life. PADI qualified diver and AIDA freediver. Languages include French and English. Based in England. Please visit my website for more information on current projects. Hannah is an emgerging fresh faced presenting talent who is definatly one to watch. A recent Zoology graduate gaining a First Class with Honours, she is now studying on the prestigeous Masters in Wildlife Filmmaking in Bristol affilated with the BBC NHU. 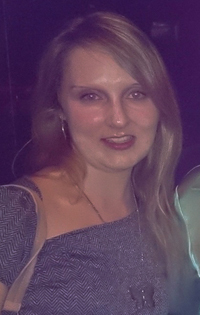 Her driven work ethic and diligent reaserch skills have won her numerous awards for her academic acheviements and volunteer work in the UK. She also conducted her final dissertation on social media and the illegal wildlife trade, which has given her a great understanding of science communication in the online digital landscape. Prior to university she spent six years travelling overseas where her love of the natural world began, but also where she recognised the value and importance of channeling film for conservation. Her time away not only gave her insight into different cultures, but also great interpersonal skills, which she is continuously praised on. Tracking Silverbacks in Uganda to trekking through Central America gave her a real time view of the world, and its unprecedented loss in biodiversity, which she aims to motivate audiences to be as passionate towards as she is. 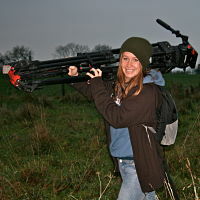 Whilst at university she started making films, presenting, and educating, realising that natural history and conservation storytelling via film was the career she wanted to persue. Her engaging and humerous presenting style alongside bags of enthusiasim makes her fun and natural to watch, with an individual versatility to appeal to a wide and varying audience. Her passions include British wildlife, long distance running, hiking, adrenalin sports, food fights, and Pangolins. I am a zoology graduate with a proven track record as a researcher for blue-chip content, receiving excellent feedback from Silverback Films and Oxford Scientific Films. I am experienced at managing data and equipment in harsh field conditions, comfortable using interchangeable lens and DSLR cameras as well as logging (Cat DV) and editing footage (Adobe PP). I also speak Spanish to a strong conversational level. I produced a documentary on chestnut crowned babblers in the Australian outback which was nominated for Best Cinematography and Best Documentary at NaSTA 2016. The film Cooperation in the Arid Zone explains the babblers' co-operative breeding and how scientists are studying the evolution of this behaviour. Producing this film developed my scriptwriting and directing skills, giving me confidence to approach shoots both creatively and logistically. As I search for junior positions I am reading widely to find interesting natural history stories that could be adapted into sequences. I am also writing up programme ideas into treatments and planning future creative projects. I am an aspiring wildlife filmmaker who recently graduated with a Film Production degree. I am skilled in all aspects of production but will throw myself at any challenge or role with great enthusiasm! I have always loved wildlife from an early age I volunteered at my local RSPB and I have always been a huge fan of film and TV. So to combine the two loves in my life would be a dream. So any opportunity I can get to be involved in wildlife and film would be brilliant as I can not see myself doing anything else! 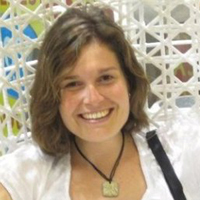 Claire is an experienced freelance Researcher with an in-depth understanding of a wide range of natural history subjects. Bringing a wealth of zoology and conservation experience to her work, she has worked for the BBC Natural History Unit, Azara Film, ITV Studios, Aardman and Wildscreen; has a Masters degree from Cambridge University in primate ecology and many years experience working in Africa and Asia under challenging conditions in the field. 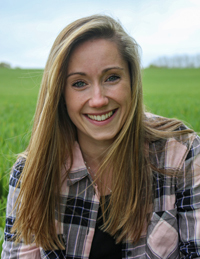 Confident in self-shooting, sound and editing, Claire has a proven history of providing thorough, in-depth research and comprehensive practical support for wildlife productions and is a passionate, resilient team member; enthusiastic in her work, with an established record of achievement. 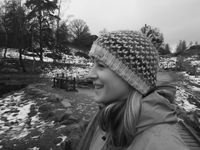 Claire tutors on Wildeyes' Research and Production courses and is always interested in hearing about new projects. I work as a researcher for the BBC Natural History Unit on Deadly Mission Madagascar. I previously worked at Humble Bee Films producing a TV series presented by David Attenborough. I have an MSc in Biological Photography & Imaging and a BSc in Zoology. My skills and experience are listed in my CV that is attached and my latest showreel is available at www.joetuck.com/video-production. I also have camera assisted on my current and previous productions, with experience of various system from XDCAM to RED. I'm also a freelance photographer and cameraman, working with environmental organisations to produce publicity material to raise awareness. 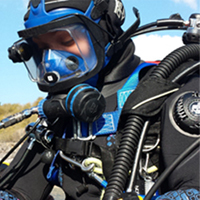 I climb and dive, have worked extensively in challenging environments and would love to get involved in any exciting new projects. AP specialising in natural history/conservation. 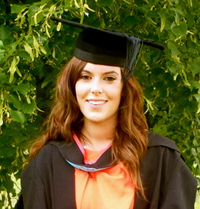 With a background in animation, zoology and conservation (MSc.) I now combine my interests specialising in natural history TV. Starting out in animation, I have a storytelling background. I then retrained and worked in wildlife research and conservation for over 10 years including working abroad, in the UK and in both office and remote field conditions. My diverse background has given me a varied portfolio of skills along with a strong network of wildlife contacts around the world. I have a particular interest in conservation, wildlife behaviour, communication, science, travel, adventure and children’s TV/filming projects. 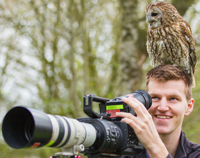 I’m an enthusiastic, reliable, easy going and friendly team member offering practical and creative support to wildlife productions and am keen to gain more writing/producing/directing/shooting experience. In depth knowledge and experience working with wildlife and conservation issues particularly in Africa and the UK, research/development of ideas for various channels, edit producing/producing/directing, live OBs, setting up and providing practical support for UK and overseas shoots, second camera e.g. Canon 5D, liaising with people at various levels and nationalities, living and working in small teams in remote locations. An enthusiastic Shooting Assistant Producer / Researcher with excellent communication, writing, team work and presentation skills. Experienced in working on Broadcast Television and independent fiction and factual work. Confident in many types of filmmaking and all relevant tasks, including directing, camera work and editing. Experienced traveler, interested in observational documentary, anthropology, specialist factual, history, adventure and wildlife. Interested in working on and making exciting factual documentaries. 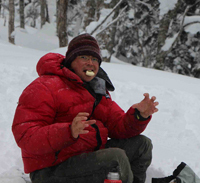 I am a researcher in animal biology and ecology. I am an expert in animal tracking, I use cutting-edge technology including satellite transmitters, data-loggers and even cameras to study the behaviour of wild animals and particularly birds. I can offer to collect stunning pictures and videos from the "point of view" of animals using techniques developed by my colleagues and myself. I am a self-shooting AP and underwater stills photographer with my HSE Part IV Scuba qualification. I'm very experienced at setting up shoots overseas and capable of working alone. I've worked on a variety of TV programmes from sensitive, investigative human-interest documentaries to adventure/wildlife subjects. I've worked for Tigress Productions, Diverse TV, Granada, RDF to name a few and made programmes for the BBC, ITV, Channel 4 and Discovery Channel among others. My photography has been published in magazines all around the world including Time Magazine, I exhibit regularly and I have a book published on Humpback Whales. 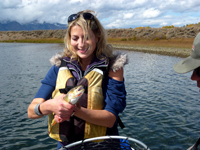 Sarah is an experienced researcher who has turned her passion for nature into her career. With a Zoology degree and a Masters in Conservation she has an in depth understanding of a wide range of natural history subjects. She has worked through all stages of the production process and has developed skills in self shooting, directing, editing, archiving, development and sound as well as undertaking excellent research. Sarah has detailed knowledge of setting up shoots and filming in both the UK and overseas on productions for Animal Planet and National Geographic. In all situations she looks for creative ways to tell the story whatever it might be, in an interesting and eye catching way. 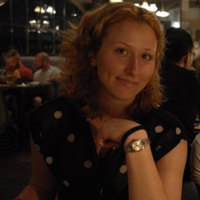 Sarah also tutors on Wildeyes' Research and Production courses. I aspire to communicate scientific knowledge to the public through documentary filmmaking to reveal new insights on animal behaviour and the world’s natural history. Ever since studying Biology and Visual Arts during my International Baccalaureate I have been passionate about the two subjects, with a keen interest in animal behaviour and media practice. Correspondingly, I undertook a Bachelors in Biology followed by a Masters in Biological Anthropology, for which I received a distinction. As a way of combining my two passions and raising science awareness, I am currently undertaking another Masters in documentary filmmaking. In 2015, I made a short documentary (8 minutes in duration) for my M.A. Digital Documentary degree at The University of Sussex in Brighton. I produced and directed the short documentary with a classmate. It was about food waste in the UK. 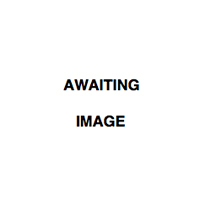 This involved researching about food waste and food systems in the UK, operating a camera (i.e. Sony NX5, Nikon DSLR), sound recording (i.e. with a boom mic, lavalier mic, dynamic interview mic), interviewing individuals on the street as well as a university student and store manager, editing with Adobe Creative Suite and finding archive material. From February until May I made another short documentary (10 minutes in duration) for my degree. It was about street musicians and I produced and directed it with another classmate. I have thus continued to refine my filmmaking skills (i.e. operating cameras, sound recording, interviewing individuals, editing with Adobe Suite and finding archive). As this documentary was partly historical, I conducted more research such as reading through a lot of literature on the history of busking as well as looking through and using more archive material. I also operated different types of cameras for this documentary, including the Sony X70 and Sony NX100. I am currently volunteering at The Booth Museum of Natural History in Brighton and am looking for work experience or a paid work position in film production at a documentary film production company. See my Profile Page for more! 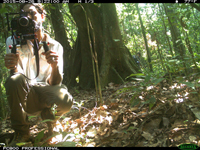 A self-shooting researcher with an MA in Wildlife Filmmaking and experience of every aspect of production including research/development, camera, sound, and post-production. Proficient in use of Premiere Pro and Avid ProTools software and confident working with a wide range of cameras and audio equipment on location. Background in writing and theatre with a degree in English from Oxford University and experience of script writing and voice-over work. A creative, highly organised, and motivated individual.